No goal! It appears there is some Toronto traffic on The Dark Ranger site, so I will enlist some Blueshirts to fight off the Evil Northerners. We feel for you, we know it hurts - Tucker is still crying. There is redemption. Yes. There is always a chance. I just love all the attention the Leafs receive. Dark Ranger why the hatred?? Is it jealousy? ?ALL Leaf sites talk about the state of the team and how can they can improve next year. All this talk about Tucker and his whinning. I would really look in your backyard with Mr.Avery. Tucker is a saint in comparison. 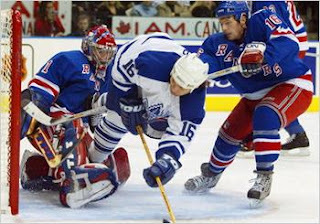 I wish the blueshirts luck, I would expect the same respect for the blue and white. the simple reason is that I am the DARK Ranger fan, not some poser who talks about his team with dignity and city love. Get it? 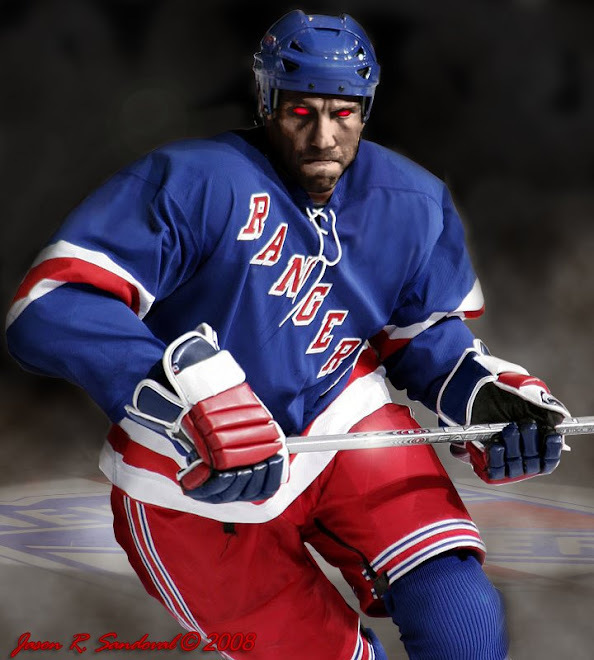 Even through the playoff sweep against Atlanta, all of MSG boo'ed our own Malik because that is how we really feel! The Leafs are a decent team, but The Dark Ranger feels Toronto is too polite and Leaf fans should fight a little harder. Just telling it like it is! An Avery or a Tucker works in NYC! Elsewhere is questionable!! ?